Gary works on biological network analysis and pathway information resources. He is involved in the development of the Cytoscape platform for network visualization and analysis, and also developed the Biomolecular Interaction Network Database (BIND). Mike works on development of efficient algorithms for analyzing biological data, especially comparison of genomic and protein sequences and assembly of genomes. His biological interests include understanding of the variation between individuals in a species, especially in the Ciona intestinalis organism. He also collaborates with both computer scientists and biologists to improve the technology behind bioinformatics pipelines. Brendan and his group group develop new computational machine learning tools and theoretical frameworks for analyzing large-scale data sets, with applications in molecular biology, computer vision, and sensory processing. The research focus of members of the group is on introducing principled algorithms that reveal hidden variables and efficiently take into account the structural knowledge that is critical in most real-world applications. Anna works on developing new machine learning methods to uncover disease association and to refine disease phenotype by taking into account multiple sources of heterogeneous data. Her methods aim to learn the hidden structure in the population and in the genome variation. She collaborates with clinicians to reveal disease sub-types through data and statistical modelling driven hypotheses. Anna's previous research has focused on network modelling and she is still greatly interested in that area. Michael develops machine learning techniques to better understand chromatin biology. These models and algorithms transform high-dimensional functional genomics data into interpretable patterns and lead to new biological insight. 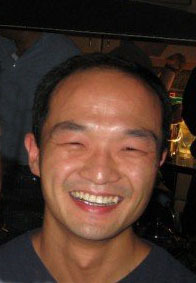 He developed the Segway semi-automated genome annotation method. His current research focuses on application of machine learning to the epigenomics of human cancers, especially acute myeloid leukemia, glioblastoma, and breast cancer. Igor's research focuses on computational biology, and representation, analysis and visualization of high dimensional data generated by high-throughput biology experiments, in the context of Cancer Informatics. Of particular interest is the use of comparative analysis for the mining of integrated different datasets such as protein-protein interaction, gene expression profiling, and high-throughput screens for protein crystallization. Philip's research focuses on systems biology and functional/comparative genomics. He is especially interested in complex cellular networks, the biophysics of protein interactions and human genetic variation, both in terms of single nucleotide changes and genome rearrangements. Philip takes on an integrative perspective on biology and develops approaches that straddle the interface between genomics, structural biology and network biology. The focus of Quaid's research is the development and application of adaptive algorithms for analysing large-scale biological datasets. He is currently working in the areas of gene function prediction and modeling gene regulatory networks. Alan works on computational and statistical methods to understand the organization and evolution of information in genome sequences. His main area of interest is in regulatory networks, but his research spans other areas of computational biology and molecular evolution as well.